Adrian Kloeden is a non-executive director. He is currently Chairman of Infrastructure Partnerships Australia, Aquasure, Hancock Victorian Plantations and the Serco Asia Pacific Advisory board. He is a director of the Victorian Chamber of Commerce and Industry and The Smith Family. Adrian’s management experience covers a wide variety of industries, including forestry, agribusiness, manufacturing, distribution, retail, research and development, brand management, technology, e-commerce, defence, tourism and transport. He has held leadership positions in large and small public and private companies as well as government related organisations and has operated in many regions of the world. His early education was in Australia where he graduated in science from the Australian National University. He followed this a few years later with a master’s degree in business from the London Business School. He also has an Honorary Doctorate from Deakin University. 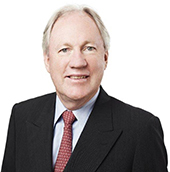 Rod Eddington is Chairman of J.P Morgan’s Asia Pacific Advisory Council and non-executive Chairman of Lion. Educated as an engineer at the UWA and then Oxford University as WA’s 1974 Rhodes Scholar, Sir Rod’s career began in transport and aviation and he went on to become CEO of Cathay Pacific, Ansett Airlines and British Airways, before retiring in late 2005 and returning to Australia. In 2005, Sir Rod was awarded a Knighthood by the British Government for service to civil aviation, in 2012 was made an Officer of the Order of Australia (AO) for service to business and commerce and in 2015 was honoured by the Japanese Government with the Grand Cordon of the Order of the Rising Sun for his contribution to strengthening the economic relations between Australia and Japan. Sir Rod serves as a member of the APEC Business Advisory Council (ABAC) and President of the Australia Japan Business Cooperation Committee. He also sits as a non-executive director on the Boards of 21st Century Fox, China Light & Power Holdings, John Swire and Sons Pty Ltd (Australia). He is Chairman of Lion. He served as the inaugural Chair of Infrastructure Australia from 2008-2014. Sir Rod has authored the Eddington Transport Study (a report to the British Government on transport’s role in sustaining the UK’s productivity and competitiveness) and Investing in Transport – East West Link Needs Assessment (a study undertaken for the Victorian Government into the best transport solutions for connecting Melbourne’s eastern and western suburbs). 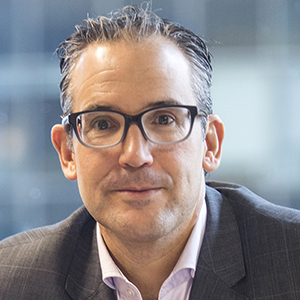 Scott Charlton is Chief Executive Officer of Transurban, a leading infrastructure company with operations in Australia and North America. An engineer by training, Scott joined Transurban in 2012 as Chief Executive Officer and a Director. Scott has more than 25 years of experience in developing, funding, constructing, and operating infrastructure assets, working with some of the sector’s leading corporations. 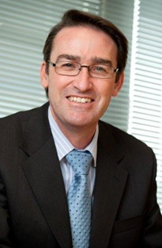 Before joining Transurban, Scott was Chief Operating Officer for Lend Lease’s global operations (2010 to 2012). From 2007 to 2009 he was Chief Financial Officer at Leighton Holdings, having joined the company in 2002 with responsibility for mergers/acquisitions, investments, treasury, tax, balance sheet and Private Partnership Projects. Scott has also spent 11 years in investment banking with eight years at Deutsche Bank culminating in the role of Managing Director, Head of Transport and Infrastructure – Asia Pacific based in Hong Kong. Previously he was Managing Director, Head of Project Finance for Deutsche Bank in Australia and involved in many of the privatisations and private partnerships in Australia during the 1990s. Sandra has recently established her own infrastructure advisory business. 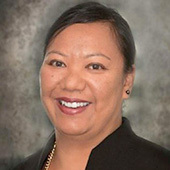 Sandra was previously the Chief Executive Urban Infrastructure for Broadspectrum Ltd and prior to this Sandra was the Chief Executive Officer for Downer Asia. Sandra has been a member of the Roads Australia Board since 2015. Sandra has a Bachelor of Commerce from Otago University in New Zealand, is a Fellow for the New Zealand Institute of Chartered Accountants and is a Graduate of the Australian Institute of Directors. Nicole currently leads the Government Practice at MinterEllison nationally and is also a Partner in the Infrastructure, Construction and Property line of business at MinterEllison. Nicole has over 21 years’ experience in legal aspects of infrastructure, construction, engineering and project development. She focuses on both high profile infrastructure developments (both economic and social) and large scale commercial and residential developments, including urban renewal. She has expertise working with Public Private Partnerships (PPPs), infrastructure procurement and delivery, and major property development, providing strategic and commercial advice, together with a focus on risk management and stakeholder engagement. John is the Co-Head of Macquarie Capital for Australia and New Zealand. John has 18 years of experience in the finance and infrastructure sectors both as a civil engineer and in infrastructure finance. While at Macquarie, John has advised on corporate and project financings, mergers & acquisitions and arranging debt and equity for a variety of transactions. John has also provided strategic financial advice to corporates in relation to capital structure reviews, and governments in relation to projects, assets and financing. Previously, John worked for a number of years as a civil engineer in Australia on infrastructure projects, before completing his Doctorate at Oxford University in civil engineering, and subsequently his Master of Applied Finance. 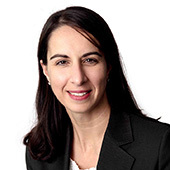 Marika Calfas is the Chief Executive Officer of NSW Ports, the private sector organisation responsible for managing the ports of Botany and Kembla and intermodal terminals at Cooks River and Enfield. Marika has considerable experience in the port sector across a broad range of portfolio areas including strategy, planning, environment and infrastructure. Marika came to the port sector from consulting engineering. 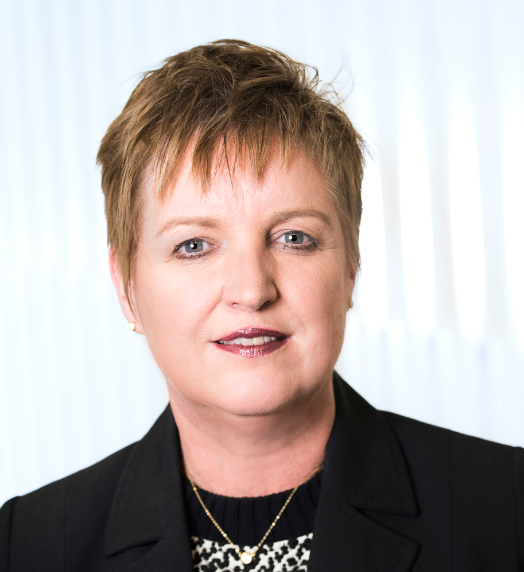 Marika is a Board member of Ports Australia and the Australian Logistics Council, a member of Wollongong University’s SMART Advisory Council and Australia’s representative to PIANC’s International Environmental Commission. Shannon is a Partner in EY’s Oceania Infrastructure Advisory practice. With over 20 years’ experience in advising Governments on high profile infrastructure and service contract procurements, Shannon brings a depth of experience across the procurement lifecycle. Shannon has a focus on the transport sector, where she has been involved in a breadth of Government investments, including Sydney Metro City & Southwest, Melbourne Train & Tram Franchising, Melbourne Metro, Regional Rail Link, High Speed Rail, Port of Hastings, UK Rail Franchising and the Irish Toll Roads Programme, amongst others. 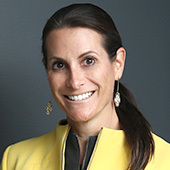 Shannon is also a member of IPA’s Women’s Infrastructure Network (WIN) Steering Committee. 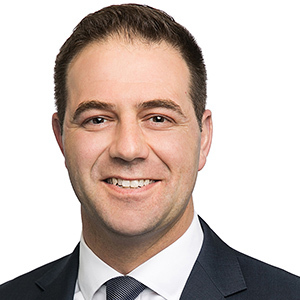 Michael is AMP Capital’s Head of Australian and NZ Infrastructure Funds, including being the Fund Manager for AMP Capital’s flagship domestic infrastructure fund ADIT. 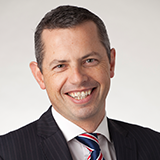 He is also responsible for leading the Australian Asset Management teams. He is a current Director of Powerco NZ, a Director of Australian Pacific Airports Corporation (Melbourne and Launceston Airports), a Director of Endeavour Energy, a Director of Opal Aged Care and Chairman of Evergen (a cleantech startup PV solar & battery business). Before joining AMP Capital, he was the Chief Operating Officer (Energy) at Brookfield Infrastructure. This involved investment management responsibility for a multi-$billion global portfolio of energy businesses as the Chair or Director, including NGPL and Cross Sound Cable in the US, the International Energy Group in the UK, DBP and WA Gas Networks in Western Australia, and the Tasmanian Gas Pipeline. Prior to this, Michael was CEO, Gas Division for the leading listed energy infrastructure company in New Zealand, where he was responsible for all aspects of the company’s gas business; including processing, transmission, distribution and sales. And since commencing his career with British Gas in 1990, Michael has more than 28 years of experience in the infrastructure sector. Kim is a commercial and finance professional with over 20 years of experience across both public and private sectors. Kim leads the Infrastructure and Structured Finance Unit at NSW Treasury and is responsible for providing specialist advice to line agencies and Government on the procurement and delivery of NSW’s $87.2 billion infrastructure agenda. In this role, Kim is involved in many complex major infrastructure projects across Roads, Rail, Health, Justice, Education, Social Housing and others. She is a member of the NSW Construction Leadership Group and leads the development of numerous policies and guidelines with a focus to improve consistency and efficiency, maximising outcomes, adapting to changing market conditions and ensuring lessons learned are shared. 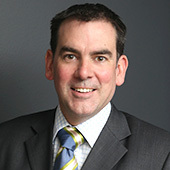 Geoff is Head of the Australian Structured Finance Office at MUFG Bank. In this role he has overall responsibility for MUFG’s project finance lending and advisory teams in Australia and New Zealand. The team manages over $6.5billion of project finance loans across Australia and New Zealand, and is regularly within the top 4 banks in the project finance league tables for Oceania. 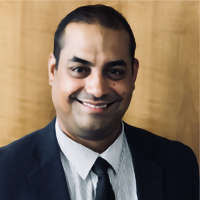 He leads a team of over 40 professionals in the lending and advisory businesses, spanning infrastructure, power and resources, with a strong presence in Public Private Partnerships (PPPs) and renewables. 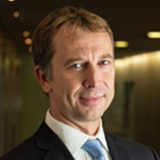 Geoff has over 20 years’ experience in the infrastructure sector, first as a lawyer and partner at Blake Dawson (now Ashurst), then at ABN AMRO, RBS Australia and MUFG. Fernando Fajardo has been based in Australia since 2010 and is the Managing Director of ACCIONA Infrastructure Asia Pacific (managing the Construction, Agua & Services’ divisions). He has over 20 years’ professional experience in all stages of large construction projects, including tunnel projects, high speed rail networks and road works in Europe and the successful completion of the $1.4 billion Legacy Way Tunnel project in Brisbane. Fernando has extensive technical and leadership skills, developing innovative solutions for the safe delivery of quality infrastructure projects. He leads a strong team of highly skilled professional personnel in competitive bid activities as well as construction delivery of infrastructure projects in this region. With a wealth of experience and comprehensive understanding of developing major infrastructure projects, Fernando hopes to assist with developing principles that enhance a strong sustainable infrastructure industry in Australia. Leilani Frew was appointed as the inaugural CEO of the Commonwealth Government’s Infrastructure and Project Financing Agency in 2017. IPFA is an executive agency that works with the Commonwealth, States and Territories as well as private sector stakeholders and provides independent commercial and financial advice to support the Australian Government’s infrastructure investment decisions. Her contribution to the infrastructure industry was recognised by her peers in 2015 when she received the Women’s Achievement in Infrastructure Award from IPA. Leilani holds a Masters of Applied Finance from Macquarie University and a Bachelor of Business and Bachelor of Engineering, both from Queensland University of Technology. Roberto Gallardo has worked in the infrastructure sector for over 20 years. Roberto began working on civil and mining projects prior to develop Public Private Partnership (PPP) and Build-Own-Operate-Transfer (BOOT) Infrastructure. He has been the MD of three infrastructure companies in Europe, America and Asia Pacific giving him visibility over diverse contractual and risk transfer models. Roberto has been member of SEOPAN export Group (Spanish major contractors association), Irish Highways Association Board, EIC (European International Contractors) International procurement working Group and the Chilean Construction Chamber prior to joining IPA advisory Board. At the beginning of 2015 he joined Pacific Partnerships (CIMIC) as Deputy Managing Director. In 2017 after two years in the role, where the company was established, became a player in the market by securing concessions (Canberra Light Rail and NZ School Bundle 3) and rotating assets, Roberto has been transferred to CPB to support the development, growth and efficiency of two of the CIMIC companies in the region (CPB WA/NT and Broad). Michael joined IFM Investors in July 2006 and is responsible for managing IFM Investors’ Australian Infrastructure Fund and is also a member of the Investment Sub-Committee for IFM Investors’ Global Infrastructure Fund. Prior to joining IFM Investors, Michael held senior executive positions at the Victorian Department of Treasury and Finance (public-private infrastructure group) and global consulting engineers, Arup, in the UK and in Australia. Michael represents IFM Investors as a Director on the board of Ausgrid and previously represented IFM Investors as a Director on the boards of NSW Ports, Pacific Hydro, Eastern Distributor (M1 toll-road in NSW), Interlink Roads (M5 toll-road in NSW), Ecogen Energy (power generation business in Victoria) and Wyuna Water (public-private partnership in NSW). Michael holds a Master of Science in Urban and Regional Planning from the University of Strathclyde, is a Graduate Member of the Australian Institute of Company Directors, a Senior Associate of the Financial Services Institute of Australia and a Chartered Member of the Royal Town Planning Institute. Prior to that, Steven was a Deputy Secretary at the Department of the Prime Minister and Cabinet, where he led work on the Cities Agenda, regulatory reform, public data and digital innovation. Steven was previously a Deputy Secretary at the Department of Industry, Innovation and Science; the Department of the Environment; the former Department of Industry, Innovation, Climate Change, Science, Research and Tertiary Education; the former Department of Climate Change and Energy Efficiency, and the Head of Secretariat of the Garnaut Climate Change Review – Update 2011. Steven has twice been seconded to the Prime Minister’s Office from the Treasury, working as the Director of Cabinet and Government Business and a senior economic adviser. Steven held a number of positions at the Treasury including the General Manager of the Infrastructure, Competition and Consumer Division and the Domestic Economy Division. Steven began his career in the public service as a cadet at the Australian Bureau of Statistics. Prior to joining the public service, Steven trained and worked as a nurse. 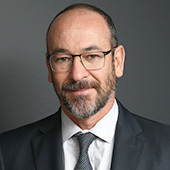 Steven holds a PhD and a Masters in Economics from the Australian National University and a Bachelor of Economics (First Class Honours) from the University of Sydney. 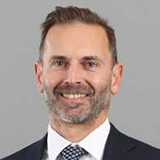 Jason is Deputy Secretary, Victorian Department of Treasury and Finance where he is responsible for providing strategic commercial, financial and risk management advice to the Victorian Government. Activities include managing the State’s balance sheet, prudential supervision of the public financial corporations, Public Private Partnerships (PPP’s), infrastructure procurement and investment, commercial and property transactions and the monitoring and governance of the State’s major Government Business Enterprises. 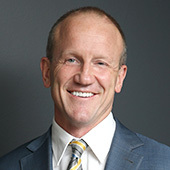 Jim Miller was an Executive Director at Macquarie Capital from 1994-2015. Jim has experience across a range of sectors, working with both government and private sector clients. Jim has extensive experience in infrastructure having worked in the areas of regulated assets, transport, energy, utilities, resources and social infrastructure. He has both a Bachelor and Masters of Economics from Macquarie University. 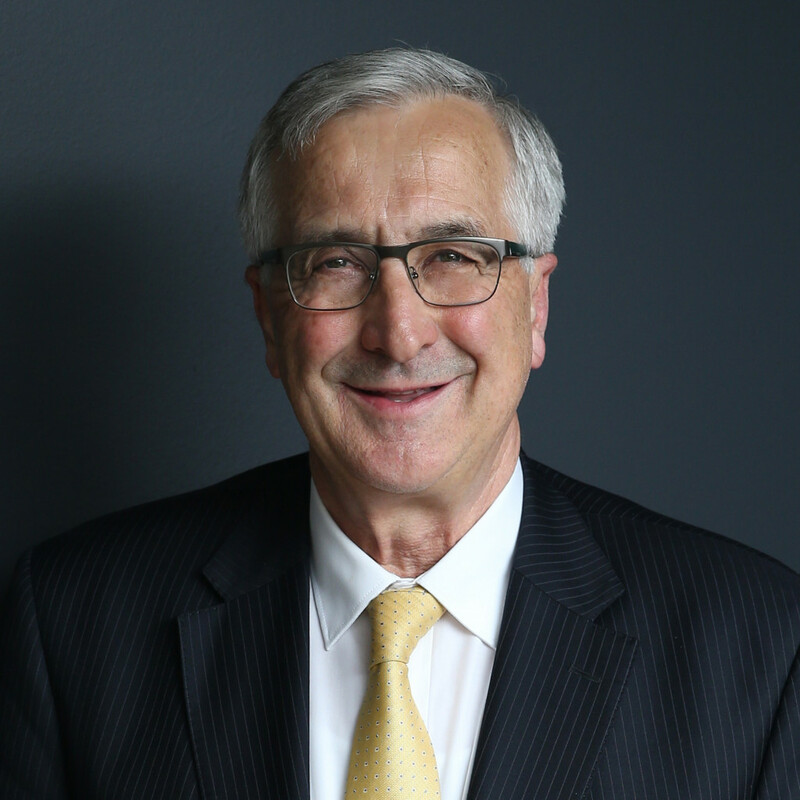 Alongside his role as Chairman of Infrastructure Victoria, Jim is currently the Deputy Chair of Infrastructure Partnerships Australia, a Fellow of the Australian Institute of Company Directors and a Fellow of the Institute of Actuaries Australia. Julian is the Co-Head of Investment Banking at Morgan Stanley Australia and leads its infrastructure and utilities investment banking team. Julian has 20 years of investment banking experience primarily in infrastructure and utilities. 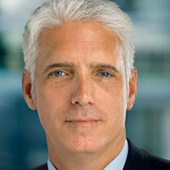 Julian joined Morgan Stanley in 2006. Julian has advised on mergers and acquisitions, public takeovers, government privatisations, scoping studies and policy advice, and equity and debt financings predominantly across a wide range of infrastructure and related businesses including roads, rail, sea ports, freight assets, airports and airlines, water assets and operations, electricity and gas transmission and distribution networks and pipelines, gas storage, thermal and renewable power generation, energy retail businesses and government registry concessions. Emma is an infrastructure and major projects specialist and has advised some of the firm’s most significant clients on the management and delivery of large-scale public infrastructure projects. Emma has particular experience in public private partnership (PPP) projects in the transport sector and the associated procurement aspects of those projects. She has been the lead partner on a number of successful major infrastructure projects in jurisdictions across Australia. 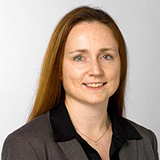 Emma is also Allens’ Practice Group Leader of the Projects and Developments Group. Emma has 23 years’ experience advising governments, sponsors and financiers on large scale PPP procurements. From the very first Australian PPP in Southern Cross Station Redevelopment to therecently closed Western Roads Upgrade Project, Emma has considerable depth and breadth of experience in leading PPP procurements in Australia. 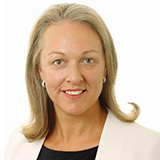 Emma is regarded as one of Australia’s leading infrastructure lawyers and has been ranked as a leading Projects lawyer in Chambers Global for the last seven years and also listed in Best Lawyers in 2015, 2016, 2017 and 2018 in Project Finance and Development. Clients and peers praise Emma for her market knowledge and her highly responsive and commercial approach.